Email backup service Dropmyemail has taken on the challenge of helping better manage attachments within inboxes through the introduction of a Dropbox-style file management system. The new addition to the service — which is operated by Singapore-based backup specialist Dropmysite — includes an ‘attachments’ feature that allows users to handle adding files to emails and a ‘file manager’ that let’s them to view, download and share attached files and content that they have uploaded. The company has added social media export options that allow email attachments to be shared to Facebook, LinkedIn and Twitter. Files can be emailed separately or given a unique URL to share to other destinations online. 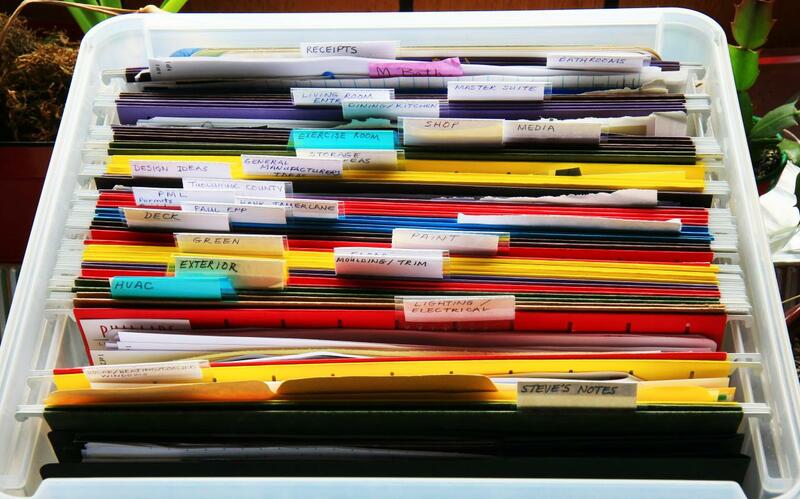 Aside from helping to manage files from one central place, the file management system takes away the issue of file size. As anyone who has ever tried to lug a massive file over email, or waiting in vain to receive one, knows, there is a strict limit to what can pass over email. Basic users, who pay nothing for the service, have 250MB of storage while paid users can go up to the limit of their storage, which is bought using a tiered system. Furthermore, files are stored indefinitely and users that hit the limit can delete existing files to free up space if they prefer not to buy a larger allocation. By introducing social sharing, the company is aiming to generate viral interest and add new sign-ups as users of Facebook and other socials sites will come into contact with Dropmyemail when they interact with shared content that is stored on the service. Dropmysite has had a busy year, particularly since we spotted them at Echelon 2012 in June. Cracking the US is high on the agenda and it snapped up US storage service Orbitfiles in June — adding 235,000 new users — before opening a US office in Dallas earlier this month. The firm says it chose the city because it is strategically located in the “telecommunication corridor”. 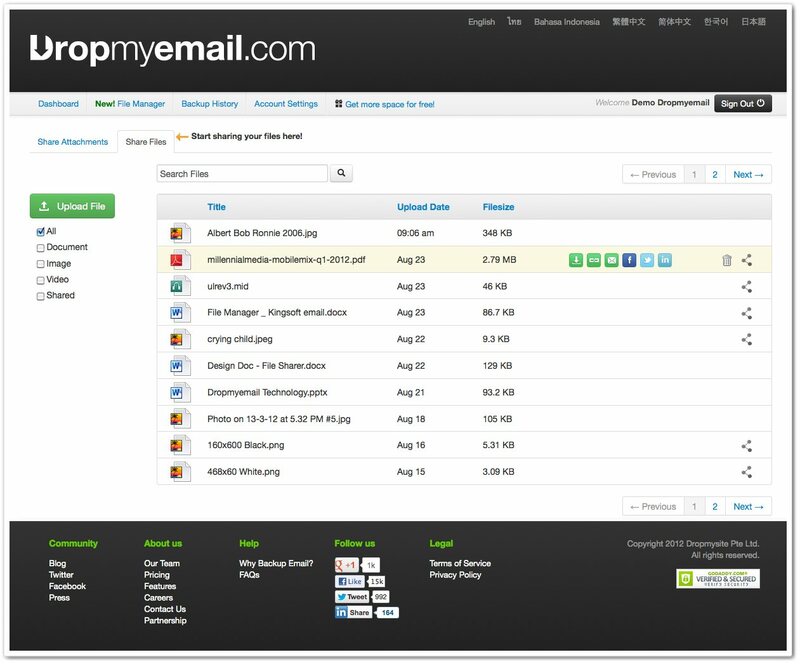 The company’s main offering is website backup, however the offshoot for email — DropMyEmail — has become its most popular. The service has grabbing 632,000 sign-ups since March 2012 which, combined with the Orbitfiles deal, puts it close to the 1 million mark. Fellow Asian startup Insync recently added a feature that pulls and manages content from Dropbox and Gmail into its service, and users have an ever-wider selection of inbox management tools to improve their productivity.